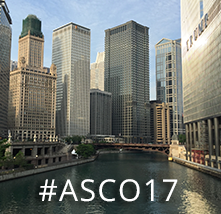 The annual meeting of the American Society of Clinical Oncology (ASCO) kicks off today in Chicago. Taking place June 2-6, ASCO is sometimes called “the Super Bowl of cancer research.” In fact, this meeting is so big that it is held every year at McCormick Place, the largest convention center in North America. Over 35,000 physicians, researchers, patient groups, and others from all over the world attend. Given the importance of what is announced here, ASCO can have a significant impact on companies that are focused on cancer research. For that reason, investors may be wise to keep tabs on the news. The Cancer Immunotherapy ETF (Nasdaq: CNCR) is eager to see immunotherapy companies participate in the conference and announce clinical trial results. ASCO named immunotherapy as the Society’s “advance of the year” for a second year in a row for 2017 so we are hopeful that the conference will live up to that promise. To help visitors prepare for what to expect, earlier this week we published part I of our ASCO17 preview highlighting five key immunotherapy presentations to watch. Today we are publishing five more in Part II of this post. CR rates in relapsed/refractory (R/R) aggressive B-NHL treated with the CD19-directed CAR T-cell product JCAR017 (TRANSCEND NHL 001). Juno Therapeutics had a rough year in 2016 as their lead CAR-T candidate JCAR015 was discontinued due to unacceptable toxicities seen in clinical trials. However, 2017 is a new year and the company is trying to bounce back with nine other product candidates in clinical trials against eight different targets. Their new lead asset JCAR017 is constructed differently than JCAR015 in at least one important way. JCAR017 uses a 4-1BB co-stimulatory domain (one of the main features of a CAR-T) whereas JCAR015 used a domain called CD28. Time will tell whether this change will be an improvement for patients and ASCO should provide a clue. At ASCO, Juno will present updated clinical trial results from JCAR017 in a form of aggressive non-Hodgkin lymphoma called DLBCL. This data is important for two reasons. First, Juno hopes to initiate their pivotal trial in DLBCL later in 2017 so the ASCO data at a minimum will have to look worthy of moving it forward like that. Second, DLBCL is the same patient population where Kite Pharma filed their application for FDA approval in March after seeing positive trial results. Since Juno is a year or two behind, they will need to show that JCAR017 has a chance to be best-in-class in DLBCL in order to compete. Kite’s CAR-T uses the CD28 construct that Juno found problematic so Juno is hoping 4-1BB will give them an edge with better data. Another competitor that also needs to be mentioned in the context of Juno’s data is Novartis. While not at ASCO, Novartis is scheduled to present interim data from their pivotal CART-T study in DLBCL at a medical meeting in Lugano, Switzerland on June 14th. Novartis management has said they hope to file for approval for DLBCL with FDA by the end of 2017, so that potentially puts Juno behind both Kite and Novartis in this indication. Novartis uses a 4-1BB construct just like JCAR017 so researchers will be especially interested to compare the two data sets to see if they have a similar profile. Open label, non-randomized, multi-cohort pilot study of genetically engineered NY-ESO-1 specific NY-ESO-1c259t in HLA-A2+ patients with synovial sarcoma (NCT01343043). While some companies in the cellular therapy sector are focusing on CAR-T, Adaptimmune has chosen to take a slightly different route. Adaptimmune is a leader in developing T-cell receptor (TCR) technology. While the hallmark of both CAR-T and TCRs is reprograming T-cells to tell them what to look for in the body, one main difference between the two is the number of cancer targets each technology might be used for. That is because CAR-T can only recognize targets on the outside of cells whereas TCRs can recognize targets both on the inside and outside. While there are other differences, this is a key differentiator that many researchers focus on because it has the potential to increase the number of cancers treated by TCRs. Adaptimmune’s lead program is a TCR that focuses on a target called NY-ESO-1 and the first indication they have tested this on is a rare cancer called synovial sarcoma. In fact, initial data from their synovial sarcoma study has looked so promising that FDA granted them Breakthrough Therapy Designation in 2016. Breakthrough Therapy Designation is given when FDA believes preliminary evidence suggests that a drug may have substantial improvement over currently available therapies. Adaptimmune has said they hope to start a pivotal trial in this indication sometime around the end of the year. At ASCO, we will see an update of Adaptimmune’s currently ongoing trial of the NY-ESO-1 TCR in synovial sarcoma. There are two key things to look for. First, the company has broken this trial into multiple cohorts with one difference being the preconditioning regimen patients are given before being infused with the T-cells. Researchers will want to see a winning strategy emerge among the cohorts so that Adaptimmune can be sure of what is the best regimen going forward. Second, as with any cellular therapy, safety will be watched very closely. While some companies in the CAR-T space have experienced treatment-limiting toxicities, Adaptimmune hasn’t seen anything like that with their TCR platform yet so it could be another differentiator. We will want to see if this safety profile holds up at ASCO. A phase Ib dose escalation study of combined inhibition of IDO1 (GDC-0919) and PD-L1 (atezolizumab) in patients (pts) with locally advanced or metastatic solid tumors. As we have discussed many times here, one of the biggest themes in immunotherapy research right now is trying to use a combination of two different immunotherapy drugs for treatment. Immunotherapy is not one thing, and the idea is that by stimulating the immune system via different mechanisms, you might see more benefit from therapy than if only one drug is used. The foundational asset of combo therapies will likely always be PD-(L)1 inhibitors such as Merck’s Keytruda and Roche’s Tecentriq because these drugs are well known and seem to work in a variety of different cancers. Now companies are in a race to determine what to use in combination with them. One such mechanism that seems promising for the combo approach is a checkpoint inhibitor called IDO. Incyte and NewLink Genetics are the leaders in IDO, and Bristol-Myers Squibb also has an early IDO inhibitor program. One interesting thing about NewLink is that it has become almost a pure-play IDO company at this point. In fact, they have three IDO assets. GDC-0919 is the first and it is partnered with Roche, indoximod is the second and it is wholly owned, and lastly NewLink is also developing a prodrug of indoximod that will enter the clinic sometime later this year. You might remember indoximod from our AACR preview in March as the company presented data from a melanoma trial there. At ASCO, we will see some key early data from the GDC-019 program that is partnered with Roche. Roche is conducting a trial using GDC-019 in combination with Tecentriq in a variety of solid tumors. The idea is to confirm that the two drugs are safe when used together and to also look for hints about which cancers this seems to look most promising in. With that information in hand, the companies can then advance to larger studies in specific cancers. NewLink received $150 million up front and up to $1 billion in future milestones when they signed this development deal with Roche back in 2014 so a lot is on the line. Initial data released by ASCO earlier this month didn’t look spectacular, but it is still very early and we want to hear more commentary from Roche and NewLink about their development plans. A phase 1b study of the anti-PD-1 monoclonal antibody BGB-A317 (A317) in combination with the PARP inhibitor BGB-290 (290) in advanced solid tumors. While BeiGene has roots in the United States and hopes to be a global leader, many are excited about the leadership role the company is trying to establish in Asia. For example, in December of 2016, BeiGene was cleared by the Chinese regulatory authorities to start the first ever pivotal trial of a PD-1 inhibitor in China. PD-1 is the same type of immunotherapy drug that Merck and Bristol-Myers Squibb have dominated the United States and elsewhere with via their drugs Keytruda and Opdivo. Being the first company to bring this type of immunotherapy innovation to China makes BeiGene stand out given the size of the market and untapped opportunity there. However, PD-1 isn’t the only success they are trying to replicate. BeiGene is also developing a BTK inhibitor (see AbbVie and J&J’s Imbruvica) and a PARP inhibitor (see AstraZeneca’s Lynparza, Tesaro’s Zejula, and Clovis Oncology’s Rubraca). PD-1, BTK, and PARP are all approaches that have made it through FDA approval and had a significant impact on multiple cancers. By developing drugs in these classes that researchers and investors already know and are comfortable with, BeiGene’s is trying to build upon the success of these others. That has a lot of advantages, one of which is that it makes it easier to compare and contrast their clinical trial results with others we have previously seen. At ASCO, BeiGene will be presenting data from a trial using a combination of their PD-1 and PARP inhibitor drugs in multiple solid tumors. While this is just an early phase 1b dose escalation trial, which makes it hard to evaluate efficacy, the company did previously report an overall response rate to the combo of 21% in the first 38 patients treated. We will want to hear more commentary from BeiGene at ASCO about what tumor types they are most encouraged by with this combination and what their future development plans are for it. PD-1 and PARP have worked well in various cancers on their own, but we are still in the early stages of learning how they might work together in combination. Efficacy of single administration of tumor-infiltrating lymphocytes (TIL) in heavily pretreated patients with metastatic melanoma following checkpoint therapy. 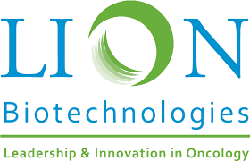 Lion Biotechnologies is developing a technology in the cancer immunotherapy space that harnesses a patient’s own tumor infiltrating lymphocytes (TILs), which is a class of immune cells that naturally fight cancer. One benefit of this approach is that TILs target antigens that are specific to a patient’s own unique cancer. Every patient’s cancer is different, and Lion believes that this patient specific approach might produce a robust and effective immune response against the cancer. However, one obstacle that the company has to overcome in harnessing this process is that cancer usually learns to evade or suppress the immune system, so TILs are not always effective on their own. To combat this, Lion isolates TILs from a patient’s tumor and then grows them by the billions in the lab before reinfusing them back in the body. They believe this army of cells can help overcome the cancer’s natural resistance. At ASCO, Lion is presenting updated data from a clinical trial using this TIL approach in late stage melanoma. There are a couple of interesting things about it. First, this is Lion’s own data for the first time ever. Up until this point, most of the work using TILs has been done at the National Cancer Institute (NCI) in Bethesda, MD under the guidance of a famous immunotherapy doctor named Steven Rosenberg. Lion licensed the TIL technology from the NCI, and this is the first data readout from a trial that was actually sponsored by the company. That is no small thing because this therapy is complicated to manufacture given its patient specific profile. These results at a minimum will provide evidence that Lion is capable of conducting such a trial outside of the NCI. Second, any efficacy signal could be considered meaningful given the late stage disease state of the patients in this trial. These patients are no longer responding to the standard of care PD-1 and CTLA-4 drugs so they do not have many options left for treatment. Lion has already announced a 33% objective response rate in data previously released, so we will want to hear more investigator commentary at ASCO about how the trial is going. At a moment in time when checkpoint inhibitors and CAR-T are all the rage in immunotherapy, it would be nice for the entire field if another modality such as TILs showed it can be a commercially viable way of treating the disease. We wish researchers, companies, and patients the best of luck at ASCO, and are thankful to the courageous patients who participate in the clinical trials that make advances in cancer research possible.